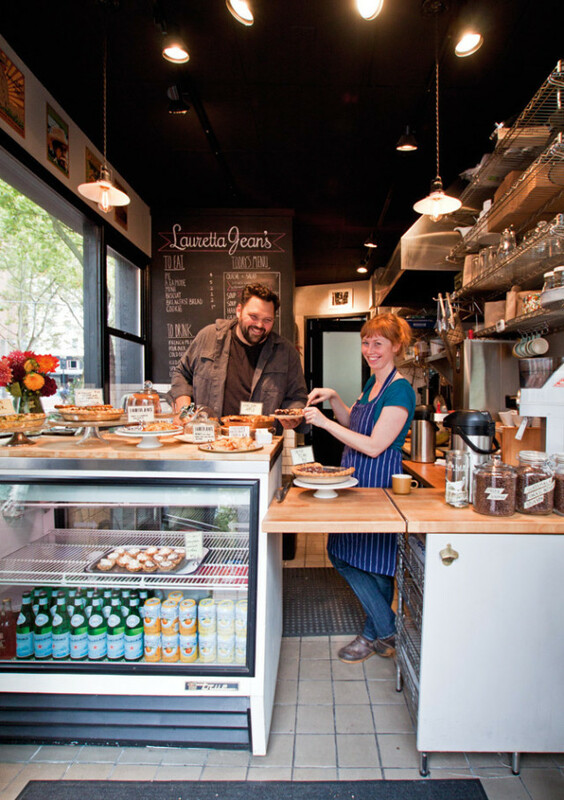 Behind a serious crust and fresh biscuits, Lauretta Jean’s is a little shop of flaky wonders. Pie is crust, and owner Kate McMillen’s versions are spectacular: deep and delicate, with more layers than a Dostoevsky novel. Nothing is accidental in the formula that she has deconstructed, recalibrated, and perfected over 21 years, 7,000 pies, and 238,000 crimps. Her secret? Warmth is the enemy of flaky extravagance. Her butter is never more than minutes out of the refrigerator. She cuts it up, then whoosh, back in the fridge. She forms a dough with ice water and flour at superhero speed, and whap, back in the fridge. Then, vroom, she races the dough to the freezer before its final mad dash to a hot oven. In McMillen’s exacting universe, seconds make a difference. McMillen has other absolutes: 1) Never roll the dough in more than one direction. 2) No flipping, ever. 3) No thinness! This crust is thicker than usual, maximizing the satisfying chew of every bite. The fretting pays off: Lauretta Jean’s, a new takeaway shop at SW Sixth Avenue and Pine Street, is the surprise of the year, and the cornerstone of Portland’s unlikeliest eat street: it anchors a whiz-by block of the Portland Transit Mall, just a few flaps away from Little Bird, and right next door to Bunk Sandwiches’ latest satellite. Here, the pies of a lifetime, boasting peak-fruit intensity and barely a hint of sugar, rise majestically alongside savory handpies and hand-formed galettes. 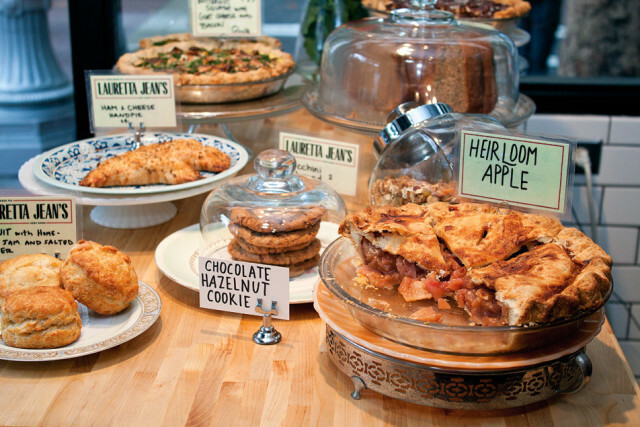 The countertop at Lauretta Jean’s holds the day’s menu of pies, quiche, and savory handpies. The countertop spread expands on the Leave It to Beaver charm of Lauretta Jean’s PSU farmers market “pie shop.” Opened last spring, the vintage-attired booth lures flocks of regulars, mesmerized by visions of latticed pies and colorful trays of boisterous, three-bite, cream-filled “sliders.” Unlike the farmers market stand (to which McMillen hauls her baked goods to be reheated in a mini Camp Chef oven), the new bricks-and-mortar location allows her to pull fresh ideas from a real oven. No corner of McMillen’s pie landscape is forgotten … stray holes are fattened with fruit chunks and finger-pressed assurance. 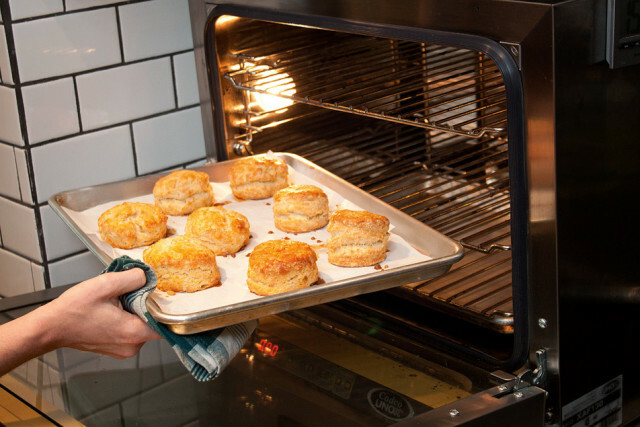 Among other things, that means biscuits as light and flaky as they come, with crowns of bronzed crispy-crunch on top. Fresh strawberry jam comes with the deal, but 50 cents buys you a proper Portland wake-up call: bourbon bacon butter. Blink, and those biscuits are gone; only a couple dozen show up daily, so get there early. They can be paired with coffees curated by partner Café Vélo, the pour-over specialist who formerly occupied this space. 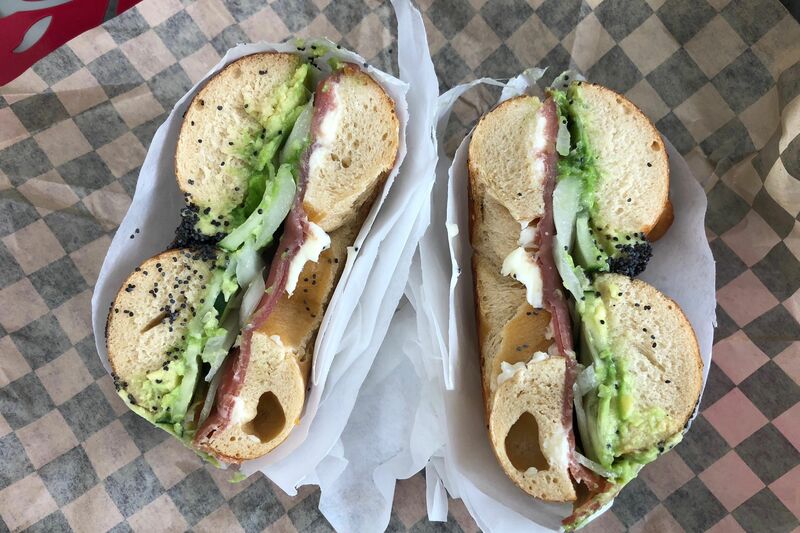 If all this isn’t already happier than anything in the news, the food often is served with easy laughs by Noah Cable, who juggles duties as manager, delivery boy, egghead, evangelist, and, most fortunate for him, the piemaker supreme’s fiancé. McMillen’s biggest surprise may be the quiche—great triangles of goodness built on thyme-strewn pastry, an herb-scented offshoot of Lauretta Jean’s all-butter crust. One bite, and you realize you’ve never eaten a good quiche before. Unlike the usual egg-clumped death bombs, these are pure and simple artistry: a few carefully chosen ingredients (roasted chunks of autumn-orange squash, hunks of good bacon, and warm knobs of goat cheese) chosen to blend a shock of smoke, an edge of spice, a taste of earth floating in an airy combination with organic eggs and a touch of real cream. Quiche is only the beginning. Just weeks after the shop opened in September, whole meatloaf arrived like a Christo installation, bound in crackling pastry glazed with tomatoes and brown sugar. It all came together like an elegant pâté—silky, smooth, a hint of sweet. If there’s a better meatloaf out there, I haven’t tasted it. But the pies are still the main attraction. McMillen made her debut at age 10 in her family kitchen, then rolled and crimped her way through college in Montana to pay the bills. In 2006, she was the unknown baker behind whispers of “great new pies” at Random Order Coffeehouse on NE Alberta Street. 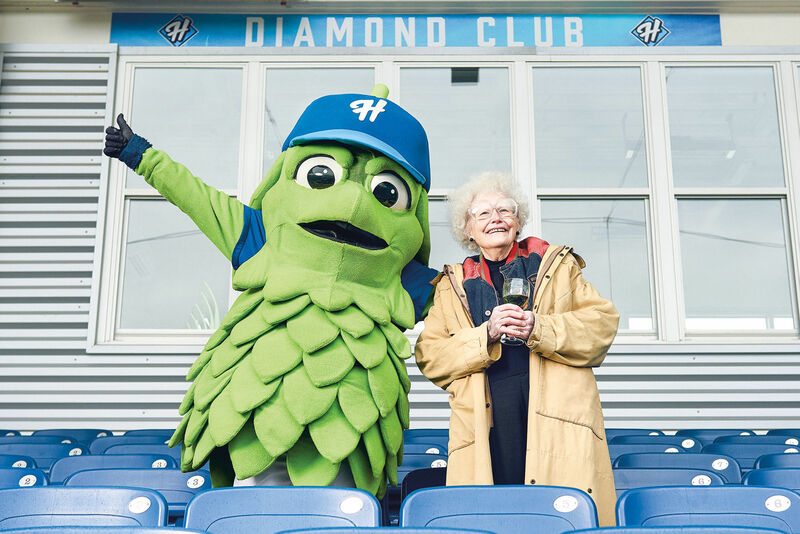 Now, on her own at last, her storefront pays homage to her Idaho grandmother, Lauretta Jean, known for frenzied all-night pie-a-thons, where she tossed dough until it yielded into something tender, flaky, and beautifully browned—in short, perfect. 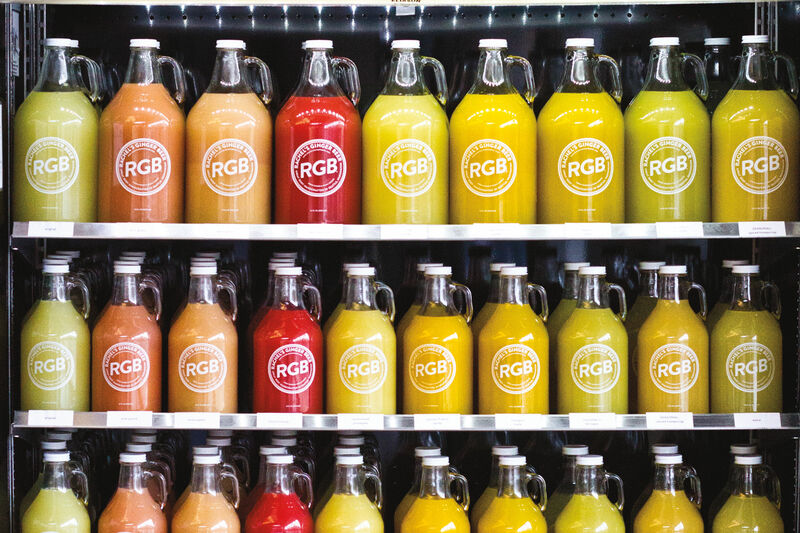 The fruits of this generations-old obsession are available whole or by the slice, and warmed to go. Deep steam vents slit through the double-crusted pear pie, each a window on glistening fruit enshrined in a fresh grind of vanilla beans, star anise, and cloves. Crunchy salt dances over pecan pie choreographed with bourbon, orange, and fresh nuts, big and buttery, from a Georgia farm. 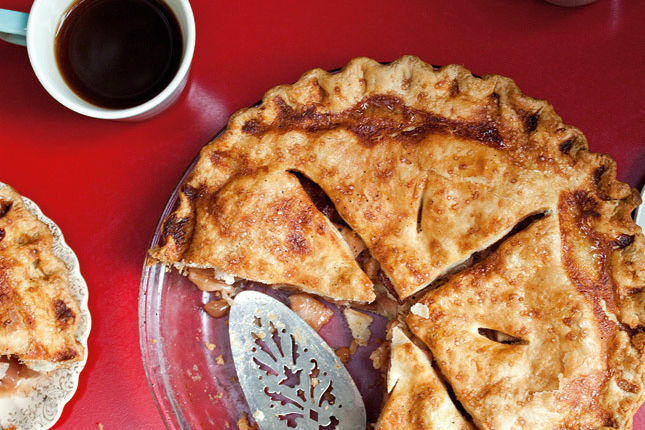 A whopping five heirloom varieties showed up in McMillen’s late-fall apple pie, complete with boiled-down apple cider for sweetening to give every bite a lingering complexity. No corner of McMillen’s pie landscape is forgotten. Every nook is dutifully checked; stray holes are fattened with fruit chunks and finger-pressed assurance. McMillen lives to satisfy. You don’t want to get to that last bite and find there’s nothing there. At Lauretta’s Jeans: not a chance.